1611 @bigdeej Another Random Poem for fun! 1004 @jerrybanfield Remembering I Chose My Mother on Mother's Day! 925 @steepshot Steepshot healthy updates. Promo video. 790 @jerrybanfield Design a Beautiful Thumbnail in Canva for Free Without Hiring a Graphic Designer! 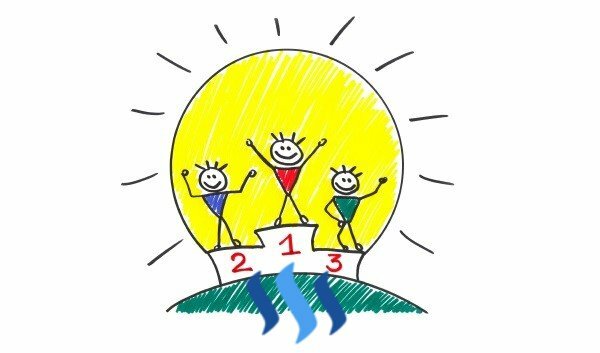 328 @dimimp What is Steemjet? 274 @dimimp Ending to Olivia and the Shuta-star! 641.53 @musing Introducing Musing.io - A Decentralized Question and Answer Platform on Steem! 391.93 @cliffpower 50 kids and West Coast Waffles, SAY WHAT?